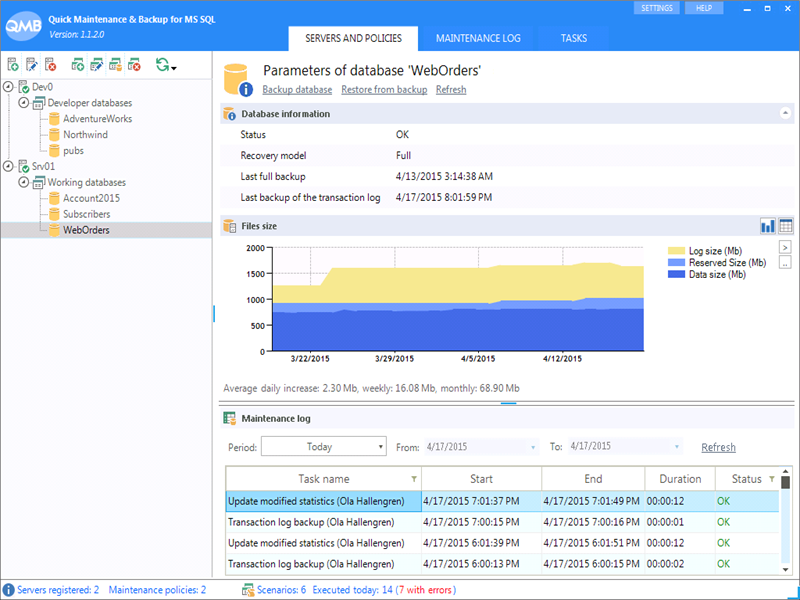 Maintaining databases on a MS SQL Servers. This program can automatically performs many tasks for DB maintenance on a SQL Server such as: backup and restore databases, maintain index and statistics, automatic restoration, monitor disks space and so on. Best practices. Free for SQL Express.